Cecily practises all aspects of property law, including both residential and commercial landlord and tenant law and real property. Cecily has a particular interest in mortgage law, in particular the more difficult mortgage possessions, and mortgage receivership and she also has extensive experience in complicated forfeiture claims, in property cases with issues as to trust or company ownership, and in Party Wall etc Act 1996 work. Before coming to the Bar, Cecily successfully completed a doctorate in mathematical logic (her thesis title is Reducts of Differentially Closed Fields to Fields with a Relation for Exponentiation) at the University of Oxford. From this education come her analytical skills, perseverance, and sense of humour. Her CPE (distinction) and BVC (very competent) are both from City University. Cecily’s pupillage was at Tanfield Chambers in 2008-2009. She was then a tenant until April 2016 when she moved her practice to Falcon Chambers. Since joining Falcon Chambers, Cecily has appeared in a number of trials in the County Court including a 4-day trial on whether a tenant had lost security of tenure under the Housing Act 1985 by ceasing to occupy the house as her only or principal home; a 3-day trial on whether a signature on a lease had been forged, in which she obtained not only judgment in her client’s favour, but also a Sanderson costs order; and a 3-day trial under TOLATA 1996. Recent work includes settling at trial a claim based on proprietary estoppel relating to commercial premises, obtaining a mortgage possession order after a two-day trial where the grounds for possession included arrears which accumulated because payments made by a third party were rejected by the lender, a claim in nuisance for interference with a right of way where the defendant says he has adversely possessed the servient tenement, and a case on the ambit of s7(2) of the Party Wall Act 1996. She has been instructed in a number of Landlord and Tenant Act 1954 renewal cases, including one where the existence of the Defendant’s lease was disputed, and another where the renewal was resisted on ground 30(1)(c). In 2016, Cecily appeared in a 3-day valuation tribunal on a lease extension which turned on whether the no-Act assumption extended to the block containing the flat in question. That issue went on appeal to the Upper Tribunal (Lands Chamber) which found that the no-Act assumption extended to the block: Crown Estate Commissioners v Whitehall Court London Ltd  UKUT 242 (LC). Cecily acted for the successful appellant, led by Stephen Jourdan QC. The case is under appeal to the Court of Appeal. During her time at Tanfield, Cecily’s cases included an unlawful forfeiture case where the issue was whether an unregistered concurrent headlessee can forfeit a lease and turned on the interpretation of s15 of the Landlord and Tenant (Covenants) Act 1995; a case on overturning the presumption under s7 of the Interpretation Act 1978 in relation to service of a s42 notice under the Leasehold Reform, Housing and Urban Development Act 1993; a case under s48(3) of the 1993 Act in which the landlord was arguing for interest to be payable on the premium where the leaseholder had delayed completion; and a long-running claim for possession by receivers where the borrower repeatedly broke back in to the property after a possession order against the tenant had been executed. 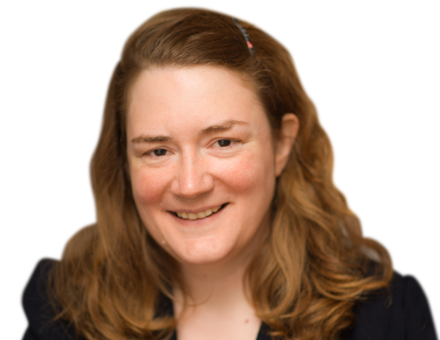 She was also successful in two Upper Tribunal (Lands Chambers) cases: Country Trade Ltd v Noakes  UKUT 407 (LC) a service charge case, and St John’s Wood Leases Limited v O’Neil  UKUT 374 (LC) a case on the application of s20C of the Landlord and Tenant Act 1985. In 2015 Cecily appeared as junior to James Fieldsend in the 2-week trial in the County Court at Bristol of a complicated residential forfeiture and registration case in which the court directed the Registrar to register a freehold transfer that the leaseholder had claimed was a sham. In that same year, she appeared as a junior to Chris Heather on an appeal in the County Court at Central London of a mortgagee possession order in which the issue was whether the loan was an exempt agreement under the Consumer Credit Act 1974 by reason of a high net worth declaration. In early 2016, she appeared as junior to Philip Rainey QC in the Upper Tribunal (Lands Chamber) in Sloane Stanley Estate Trustees v Mundy  UKUT 223 (LC), a case about the use of the hedonic regression statistical methodology in valuations under the Leasehold Reform, Housing and Urban Development Act 1993. Cecily is a member of the Chancery Bar Association and the Property Bar Association, and is the first barrister member of NARA (the National Association of Receivers and Administrators), and a member of its Council. She often speaks at conferences and seminars. For example, she has spoken at an RICS CPD training day in Loughborough where she gave a legal update on the Party Wall Act 1996, at the Liverpool Law Society 2016 Residential Property Conference, at which she spoke on issues arising in lessee owned freeholds, and at the NARA 2017 training day in Rochdale. Patel v Peters  EWCA Civ 335 a party wall case on the meaning of sections 10(6) and 10(7) of the Party Wall etc Act 1996. Cecily appeared at the trial, drafted the grounds for the application for permission to appeal, and led by Nick Isaac, succeeded on appeal. Sloane Stanley Estate Trustees v Mundy  UKUT 223 (LC), a case about the use of the hedonic regression statistical methodology in valuations under the Leasehold Reform, Housing and Urban Development Act 1993. Crown Estate Commissioners v Whitehall Court London Ltd  UKUT 242 (LC), which decided that the no-Act assumption in valuations for lease extensions extended to the block containing the subject flat. Contributor to The Law and Practice of Party Walls, Nick Isaac (Property Publishing 2014). Contributor to Tanfield Chambers' Service Charges & Management: Law & Practice 3rd edition (Sweet & Maxwell 2013).